Is this going to be flat vanilla, or is it going to try to address some of GS' mechanical failings? Most likely the former, I didn't know Golden Sun had any particular mechanic issues until your post lol. @mechanical issues: You mean like Summon Rushing? If it was me, I think I'd prefer selecting Name, Gender, and Element all of the same screen so that it feels a bit shorter.... (And we don't have to feel like a bunch of things may come next.) but I guess it is up to a person's preferences. No, I mean that in later levels a wooden stick does more damage than even powerful spells like spark plasma and grand gaia. Fixing summons is easy. Just make them actually summon a mob. Personally I'd call that an interesting bit of trivia lol, kind of awesome actually, going to town in end-game with a stick of all things. Could draw comparisons with the Zelda series' use of items obtained early in the game during end-game boss battles, such as the Fishing Rod and others. You can distract Ganondorf (and Demise as well, if I'm not mistaken) with items like the Fishing Rod, causing them to pause momentarily perhaps out of awe of the sheer ridiculousness on display, allowing you to get a few good attacks in. I'd say that adds charm lol; a quality Golden Sun is often thought to have, perhaps more so than any particular technical issues. Not a bad idea, Fox, was thinking about how it would look all on one page. It would certainly make for a more open GUI, worth taking a look at. The current GUI I have here is a simple draft where opening the Name Entry page triggers the Golden Sun GBA start-up tone and starts to play the Golden Sun Menu Screen music, where entering a name and pressing OK triggers a Menu Select sound effect and opens the Gender Select screen, where selecting Boy or Girl simultaneously triggers a Menu Select sound effect and a short snippet of either a male or female 'voice' from the game (the squeaky voice everyone has, it's great lol) and opens the Element Select page, where selecting an Element simultaneously triggers a Menu Select sound effect and a 'sparkling' Djinn sound effect from Dark Dawn. Each page with the exception of the Name Entry page also offers the ability to go back. The idea is to use each user variable to determine how to build the Creation Suite spec; if the user selects Boy, a fork is then followed, where they will be led to a Character Portrait Select screen that only displays male portraits, and a possible Class Select page (changeable later on at any time) will therefore not display classes exclusive to females, such as Witch, and vice versa. 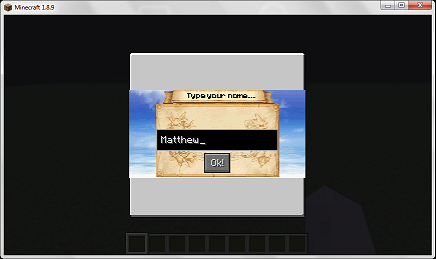 Can use the NameEntry variable possibly as a string to be used in a feature such as the Minecraft chat box modification I mentioned earlier, where the name you entered is displayed next to your character portrait a la Golden Sun for a few seconds. The Name field is currently limited to 8 characters, up from Golden Sun's original limit of 5. I have a feeling I may prefer the current setup of keeping each function separate from others over having all functions onscreen at one time, however, as I like to imagine the result is being displayed from a small device, such as the GBA screen for example. Gives it a pleasant vibe true to the source. That, and as many of the icons used are extracted from GS/TLA/DD, the image resolution tends to be on the smaller side, the images will often fare better on a smaller screen. Having too many small items display to the user at the same time may have a jarring effect. -Are we 100% sure about separating female and male portraits? Since well... there is the transgender community and stuff... I'm sure there are people that go by one gender and prefer to look as another... (At least in a role-play/gaming sense... - Thinking of all those guys that use female characters, heheh...) - And basically, I can see people using the custom portrait thing to get the image that is already there, in that case.... So I'm thinking maybe a set-up where only the gender-related ones show up by default, but that there is a checkbox to show full list? Quite sure, lol. The transgender community will have to resign themselves to using traditional pronouns for this occasion, if that can be managed. 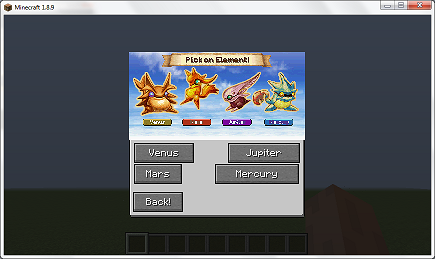 Think anything more than this from a development standpoint is a bit beyond the scope of a Golden Sun Minecraft mod. The importance of a true gender is notable in that it would affect which classes are available to the user. Bashing stuff with a stick is not quite as charming as it sounds, it's essentially the same as bashing them with a sword but slightly worse. However, I think the issue has less to do with physical damage being based on a stat that scales with level, and more to do with attack spells becoming obsolete by the time you get them once your levels start hitting the 30-40 range. No, that's not "a bit of trivia" - it's one of the major reasons that unleashes are so OP in vanilla. Basically, attack gets stronger with level, but psynergy has no equivalent stat. For mages like me, this is a problem. If you want to keep things strictly vanilla with stats, look into what Caledor did with his patch. If you want to add new stats for psynergy, I've been working on that. 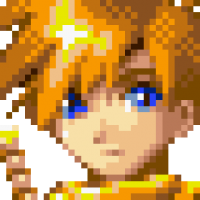 Perhaps we view the game from a different perspective, seems we may agree to disagree on this issue of scaling stats of the original Golden Sun. Bear in mind, this is a Minecraft mod, the idea is to implement a class system dutiful to the source in a Minecraft setting - balancing the source game's stats to fit a new scaling criteria, easing the Mage's original gameplay experience, and managing females with 'beast ears' are examples of what I consider to be unnecessarily beyond the scope of a Minecraft mod. A classic case of getting a little too bogged down in detail work. Whether you approach it like the Balance Patch or like my Character Creation system is up to you. If you don't want to do either, then just make four per element, one class for each of those. That should be sufficient enough for people to have both good class options, and pick the element they want. Having multiple power sources (whether it be PP or Casting is irrelevant) would allow for people like me to play in the way they want, even if it's not fully customizable. 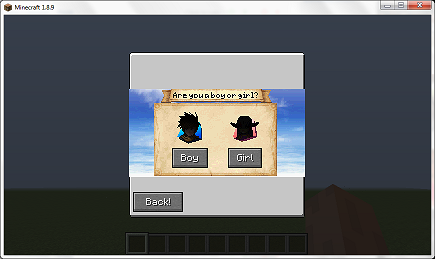 As for Gender... that shouldn't really even be considered, since that's easily done via skins and the Gender mod. Might as well remove the step, since it shouldn't have any bearing on what you're trying to do. ...Okay, first, you don't have to explain how classes work to any of us. In fact, it's likely we've got a better understanding of how it works than you given how long we've worked with it. Second, the examples you gave are all from the same class line (in this case, the Slayer line), so a better example might have been Slayer, Chaos Lord, and Protector. No need to be rude, Rolina, I understand that this is a topic you have invested quite a bit of time into. This is why the thread is directed to people such as yourself, who have a better understanding of the class system in Golden Sun than I. The reason I use extra exposition in this thread is to help clarify the topic to new visitors, perhaps someone coming to this thread via a Google search, to provide some context. Please calm down.